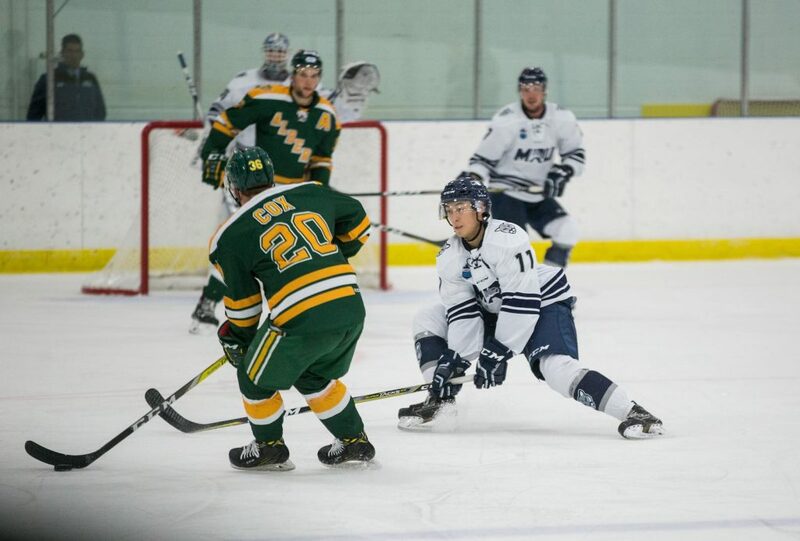 Newly appointed Mount Royal Cougars Men’s hockey captain Jamie King and the rest of his squad have had a slow start to the season at 3-2-1, but are looking to bounce back and making a strong push for the playoffs. King, 24, has been playing hockey since he was five years old. Growing up in northwest Calgary, he played for the Westwood Warriors as a young kid. After his time with the Warriors and quadrant hockey for the Northstar Association, he made the transition to the Alberta Junior Hockey League (AJHL), where he picked up 101 points in three seasons with the Calgary Mustangs. He enjoyed his time in the AJHL but he prefers the level university hockey has. Now in his last year of playing university hockey, King is going to miss the interactions more than the time on the ice. Being able to manage school and sports is hard for any university athlete and when you’re the captain of a team, there is a lot of extra work. Even with his busy schedule, King still makes time for his family. King is having a good school year in his final year of business; he says his school and his hockey play hand-in-hand. He also believes that his time playing hockey will help him after he graduates as well, in whatever he decides to do. Being his last year, this could be the last opportunity to play high intensity hockey although King has some options overseas. The team revamped its roster with the loss of star players like the legendary Cougar captain Matt Brown, Cam Maclise, Emerson Hrynyk and Devin Gannon; they had to bring many rookies into the lineup. This is King’s first year as captain, something he is very humble about. When it comes to the on ice interactions, King makes his presence known. MRU picked up two wins on the home-and-home on Oct. 20 and 21 and are currently on a three game win streak. The Cougars look to be successful in a back-to-back against Manitoba as well, which starts on Oct. 27. You can catch them back home on Nov. 11, where they play the first edition of the Crowchild Classic on Military Night.